When a designer boutique takes its inspiration from a work of literature, ita��s only natural that one sits up and takes notice. 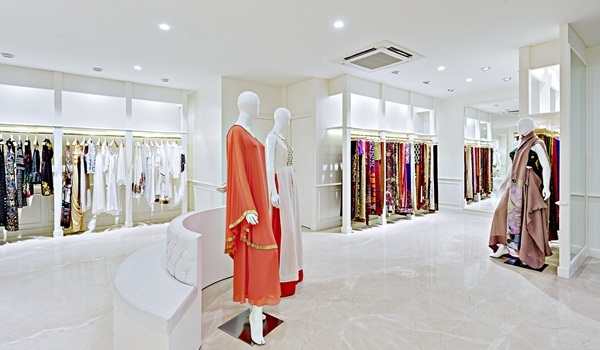 The Attic Gray, a new bespoke and ready to wear store in Koramangala, is named after The Picture of Dorian Gray by Oscar Wilde, which is one of founder, Ramya Girimajia��s most favourite novels. a�?Taking notes from Doriana��s life, we would like to make our customers shed their insecurities, with the garments we create and curate,a�? begins the designer, whose label, Cutt is one of the many that retails at the swanky new store, spread across 3,500 square feet and three floors. Philosophy aside, perfection and beauty are what really speak when it comes to clothes, and Girimaji along with her partner, Anirudh Prasad, ensures that her collection more than makes the cut. a�?The secret is to pick what works for you. So we do not have more than one piece in each style,a�? reveals the designer. While the ground floor serves as the bespoke section, the first floor is the retail space, stocking more than 10 different labels. Taking us through the carefully curated collection on the first floor, Girimaji gives us a few highlights. a�?If youa��re looking for simple silhouettes that are elegant but easy at the same time, Vaarha by Shagun Kakkar is the way to go. Ketchup by Megha and Amita, works well for Sunday brunches,a�? she says. Girimajia��s Cutt is a mix of fun silhouettes, bright prints, and bold colours. For the art-lover, Artychoke, a label that creates garments and home decor bearing art prints, is a great option. This weekend, the store will also host a pop-up sale, Adorn, on its second floor (which is dedicated to sales and exhibitions) in collaboration with Jean Claude Biguine. Look out for handcrafted jewellery from Caravan, which works with small scale artisans.